Whether it’s a kid opting for the plain pasta with butter or a foodie reaching for a paint-peeling blue cheese, people’s food choices often come with a story. I recently explored this idea in Sustainability of Food Systems, the massive open online course (MOOC) I’m taking offered by the University of Minnesota. For the unit on food choices, we first read about how Afghan families changed their purchasing habits when wheat prices went up. * The researchers found that wheat is a paradoxical Giffen good, meaning that when the cost to purchase the product goes up, demand for the product also goes up. In this case, it seems Afghans reduced the more varied, expensive foods in their diets and opted for more bread. Next, we read a shocking piece on greenwashing,** the term for misleading sustainability claims. According to one study, 98 percent of products making such claims were guilty of greenwashing. Many people choose foods based on price and flavor, or cultural, environmental or health considerations. Buying by geographical factors (including buying loosely-defined local foods) is another consideration — though for many it’s included in environmental concerns. One homework assignment was to investigate labels on products myself. Here is what I posted on the course forum. Read on below, while I embark on my next project of interviewing people I know about how they decide what to put on the table. For this activity, I chose a non-GMO label on a package of sugar and a claim of “no sulfites detected” on a bottle of wine. Both claims seem to have merit, though I was suspicious of the former at first. 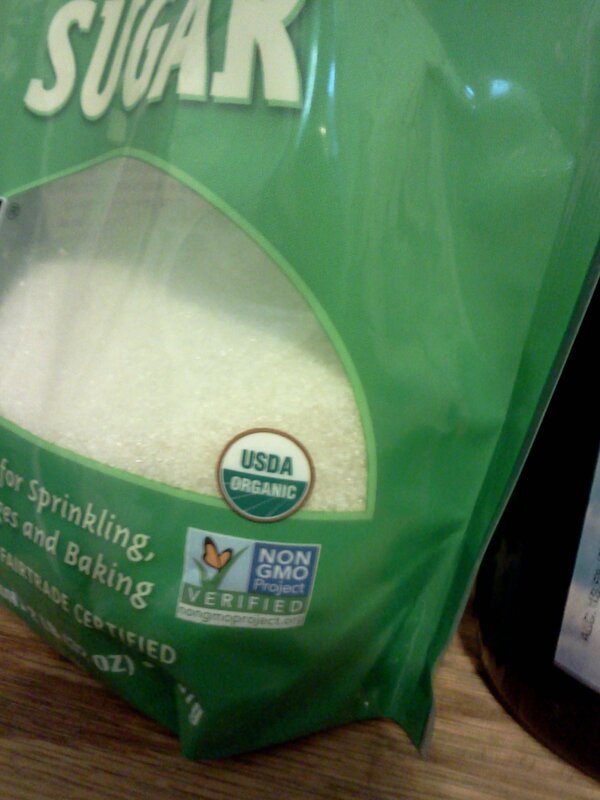 “Why should I enroll if my products are already USDA certified organic? I learned that this claim, too, has a solid factual basis. The makers of the wine, Orleans Hill, says that the U.S. Bureau of Alcohol, Tobacco and Firearms requires an analysis from a “certified laboratory.” Check out their FAQs. “What does ‘Sulfite Free’ mean? 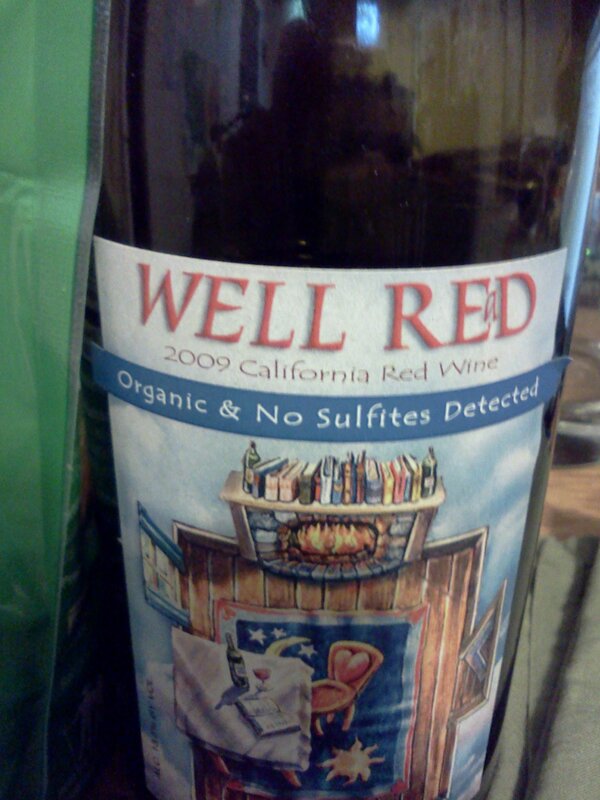 Also, it looks like the ATF cracks down on those who don’t label wine that contains sulfites. So, amazingly, these two products seem to fall among the few that make valid sustainability claims.